In October 2017, they held the Katie Dinner for two nights. It was their last Katie Dinner - and their last dinner as August Restaurant. Mary Ann and Maria have closed a chapter in their lives: 14 years of running August Restaurant, and almost 10 years of Katie Dinners, in memory of their dear friend. Shannon*, a former WIT client and a member of the Survivors Network, hosts a birthday party every year with an interesting admissions fee: 2 SEPTA tokens (or more). At the end of the night, she collects the tokens so she can donate them to WIT. Her inspiration? Coming to WIT, listening to women's stories in Sister Circle, and realizing that transportation - and the cost of transportation - was a real barrier for some clients. "Some people don't even know it's a need," she said. "After being here, I could see the need. They spoke about not being able to get away... that means transportation. If they had the emergency token to get somewhere..."
Last fall was Shannon's third year throwing a birthday party just to collect tokens. Her 8-year-old granddaughter stood at the door and collected the "admissions" tokens, and even donated her own tips back to WIT to purchase more tokens. 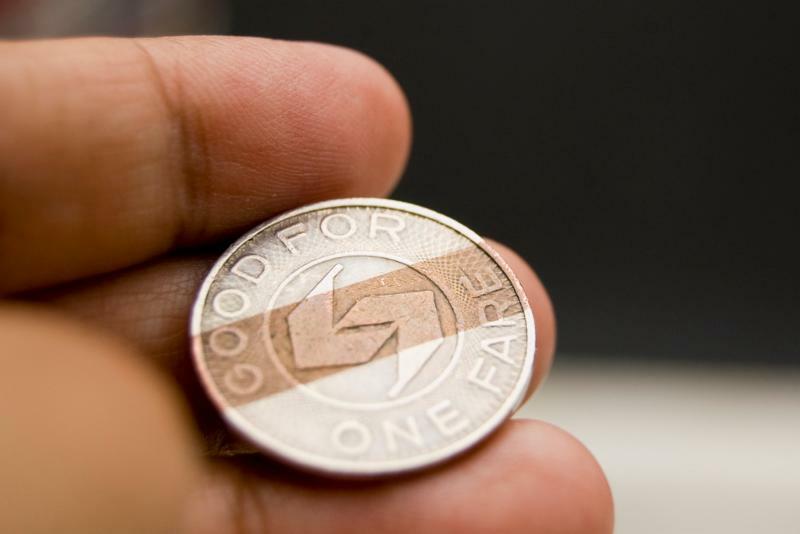 Altogether, they collected 60 SEPTA tokens for WIT clients. As Shannon said: "You hold the door for the person behind you."